Maryland does not have a perfect criminal justice system by any stretch of the imagination. Drug cases are often treated too harshly, and strict gun laws place otherwise law-abiding citizens at the risk of arrest and prosecution. The firm has a legal blog, which voices opinions and commentary on many of these laws, and most of the time we are critical. But the expungement system is one part of the state criminal justice system that is extremely fair and efficient. Expungement is a fancy word for permanently removing something, and in the justice system this word is used to describe the process of clearing a person’s record. There are very detailed and specific laws that outline this process, but for the most part they are workable, especially with the assistance of an attorney. Basically, anyone whose criminal case has been closed without a conviction is eligible to apply to have his or her case expunged. The time frame for eligibility depends on how the case was closed, which is typically done in one of three ways. 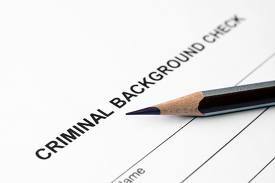 A defendant is entitled to immediately apply for expungement when his or her case has been dismissed or closed via an acquittal. A dismissal can occur in the form of a nolle prosequi or nolle pros. This is simply a Latin term that means declining to prosecute. When the state’s attorney announces a nolle pros they officially end their prosecution of the case. Keep in mind though that if the state announces a nolle pros on one or multiple counts in a case, but not all counts, the case may not be eligible for expungement. A dismissal may also occur if the judge grants a defense lawyer’s motion to dismiss or if the state requests a voluntary dismissal. Once a nolle is entered the defendant may apply to permanently clear the case from his or her criminal record. The only requirement is that the defendant fills out a waiver giving up the ability to sue the police department and the officer who initiated the charges. Defendants are also entitled to apply for expungement if their case is placed on the stet docket or if they receive a probation before judgment. Stet is another Latin word that means let it stand. A case that is stetted is put on the shelf for three years, or until the defendant completes some sort of agreed upon condition. The defense or the prosecution may take the case off the shelf and place it back on the trial docket within one year, or in years two and three for good cause only. A defendant whose case is stetted is eligible to apply for expungement after three years. This three-year time frame also applies to a defendant who receives a probation before judgment or PBJ. There are various restrictions to applying for expungement but overall Maryland has adopted an extremely fair and just process compared to other states. Florida for example only allows defendants to apply for expungement once, regardless of why the case was dismissed, and the process could take over six months. The process in Maryland is relatively streamlined, and is typically completed within three months. After a request is granted, the courts and law enforcement are ordered to destroy all records of the criminal case, and failure to comply with these orders may result in contempt of court proceedings. If you are eligible or think you may be eligible to have your case expunged, contact The Herbst Firm for a free consultation about how to start the process.